Check out my Mom's cousin, Ahmad Asal's work at the World Fine Art (formerly known as Abney) Gallery. If you like the piece at left, then you like my cousin's work. "AMAZING!" I love angels in all forms. Check out Andrew Lakey's work if you do too. The definite must-see site for art is here. Can you guess where it is before you follow the link? I bet the link is not the same color as the ones you've already followed! Go here for the classics at my favorite Museum in the city. This section in particular is a favorite. No conversation about fine art can exclude this site, since these people now license lots of the good stuff out there. Take a trip with them and see where it leads. Guaranteed it won't go to the same place for too long. Guaranteed. 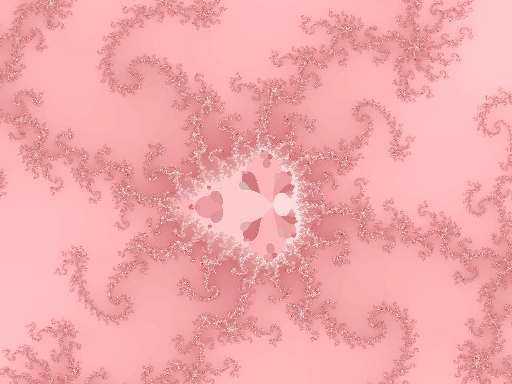 On my old page, I used a fractal for the background. It was unique, but it kinda made some folks jittery and nervous because of how busy it is. I don't know. I find the mathemagical aspects of it quite soothing. If you would like to know more about how I made this pic, please just email me. For now you can see the full size image in its real colors here (368 kb). If you would like to know more about how I find images like this one (called a mini-mand), click here for my step by step narrative on finding a mini mand (a snow-mand, actually).